Before you can make the Garlic Cream Sauce with Chicken and Spaghetti Sauce, you need to roast a squash. I don’t cut mine in half as it’s so much easier to slice after it’s baked. Throw your spaghetti squash on a baking sheet lined with aluminum foil. Bake in a 375 degree oven for 45-50 minutes. Remove from the oven and let stand 15 minutes. When it’s cooled off, slice the squash in half and remove the seeds with a spoon. 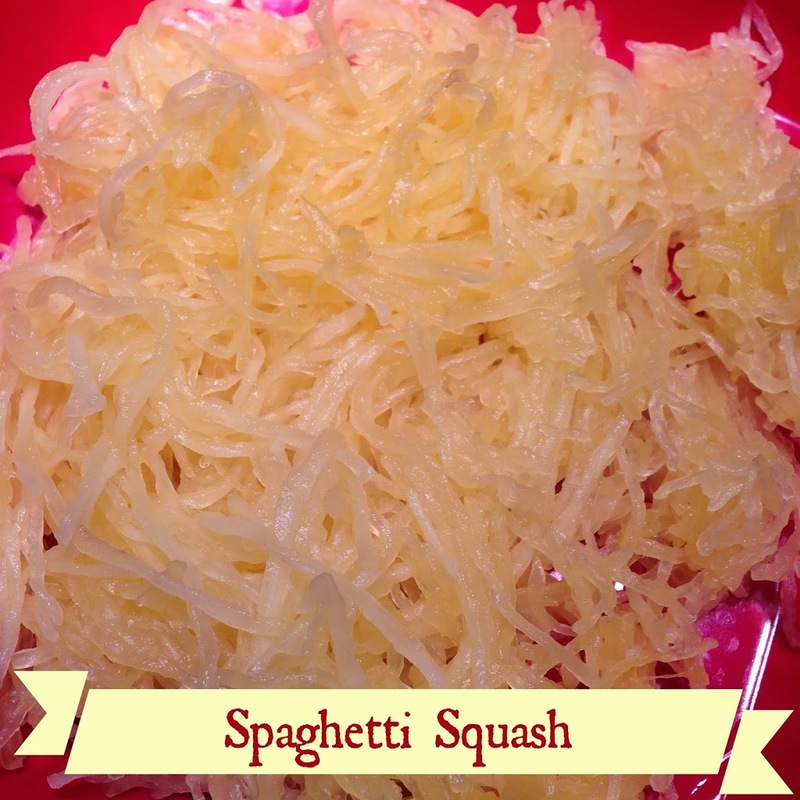 Then take a fork and scrape out the flesh of the squash – this is the part that looks like spaghetti. Now onto the rest of the recipe! cheese. Warm on medium until the cheese melts, stir often. If your medium sauce pan will fit all the ingredients, you that. 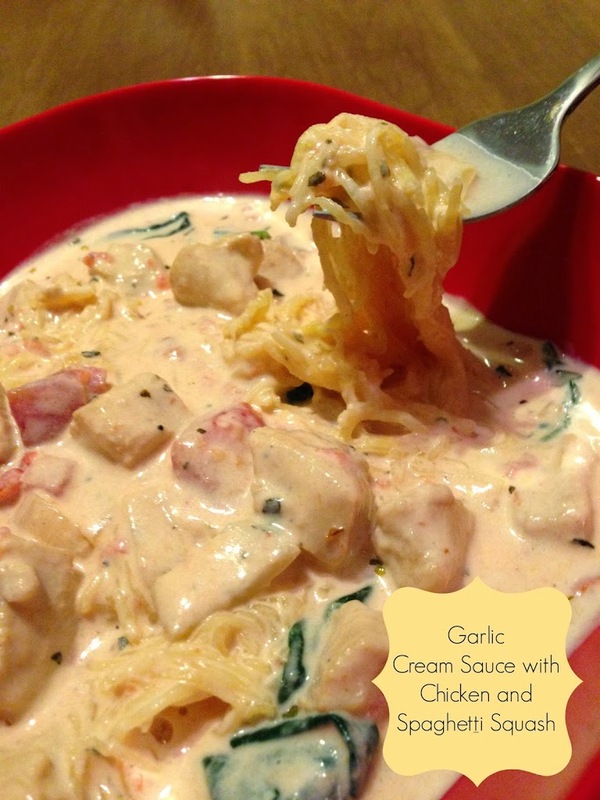 If not, use a mixing bowl and combine the chicken, vegetables and cheese sauce. Every single one of your recipes looks soooo good – 5 more days until I’m on P3 – I have your web site sitting on my desk top in anticipation – YUM! Thank you so very much! Thanks so much Liz. It does make eating healthy yummy, doesn’t it?